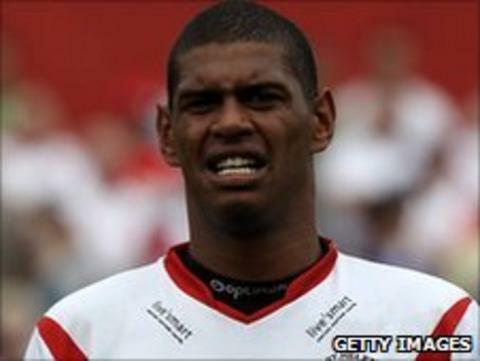 St Helens stand-off Leon Pryce said he was nervous ahead of his return from injury against Catalans on Friday. Pryce, who has had neck and groin problems, played in the 40-18 victory, only his second appearance of the season and his first since March. "I've not played proper rugby for 12 months, so it was very nerve-racking, so I'm glad to get it out of the way," Pryce told BBC Radio Merseyside. "I was happy with my contribution and we scored a couple of tries." He added: "If we'd have lost they would've jumped in front of us, so it was a massive two points." Winger Jamie Foster, 20, scored three tries and scored eight goals in the win over Catalans on Friday and he says his contribution was made easier by his team-mates. "I'm very fortunate, I play with a lot of talented players week-in week-out," said Foster. "I've got Jonny Lomax passing it out to Francis Meli or Jon Wilkin and they're just firing it to me. "The passes are always perfect and I just finish them off. So it's a good combination we've got going on that left edge. "We're really enjoying playing with each other."